The ambient "The Return Of The Time" borrows parts from "Rubycon Part 1". A little deception, as the result is rather soft and never really lifts off. The intent of revisiting the golden-era material is great but... Why not a full reinterpretation of the originals, such as "Phaedra of Nottingham" or "Stratosfear '95"? All the next tracks will faithfully follow their source tune. "Flow Paths" sees a pleasant version of "Exit" enhanced with nice additions and sci-fi sonorities. "Scope Of Mind" is based on the first sequenced part of "Horizon", from the great "Poland" live double-album. The drums make this remix quite lively, although a bit lengthy. Same goes for "Meshwork", a revisit of "Flock" from "Das M'dchen auf der Treppe", more known reworked as "Flock Of Bluebirds" in the "Antique Dreams" compilation. Cool, but the rather non-melodic and repetitive original tune makes it difficult for a 6 minutes long remix to maintain interest. Now... Were there no better tune in the huge TANGERINE DREAM patrimony to choose than the black sheep of the icy synthetic 1982 album "White Eagle", a.k.a. "Midnight In Tula"? I can understand that this pre-video-game-ish melody was fun and kind of iconic in its own way back in the days, but the melody is quite irritating. "Code To Zero" is a little more bearable, mainly due to its retro-futuristic and robotic ambiance, sounding less dated. I admit I can stand more this remix than the original one, however it does not really change my general opinion about it. Another curious choice is "Polar Circles", based on "Running Out Of Time" from 1989 "Miracle Mile" soundtrack. To be honest, the original track was not really worthwhile. This new track contains a few digressions, but it doesn't prevent the overall from sounding rather flat. On the contrary, with "Alien Sitcom", Jerome made a justified pick by digging up "Mojave End Title" from the good "Wavelength" soundtrack. Despite little messy moments, this intelligent remix also features nice rocking passages. "Hinterland" reuses "Horizon" again, this time the frenetically-sequenced ending part. Easily the most dynamic track of the disc with its big-beat drums, trance-like sections and some middle-eastern sonorities too. the ender, "Mombasa (Touareg Remix)", is simply based on... "Mombasa" from "Booster III", composed by Edgar Froese, and just released 1 year earlier. Definitely ambient and floating with its female vocalizations, this composition is enjoyable but not varied enough. This fifth opus clearly shows the Dream Mixes formula beginning to falter. The choice of the source material is sometimes questionable and some worthwhile tracks are not fully reinterpreted. Nonetheless, the most important point is that, in 2010, the style is still stuck in the nineties, whereas the then current electronic music scene showed important evolutions during the 21st Century's first decade. 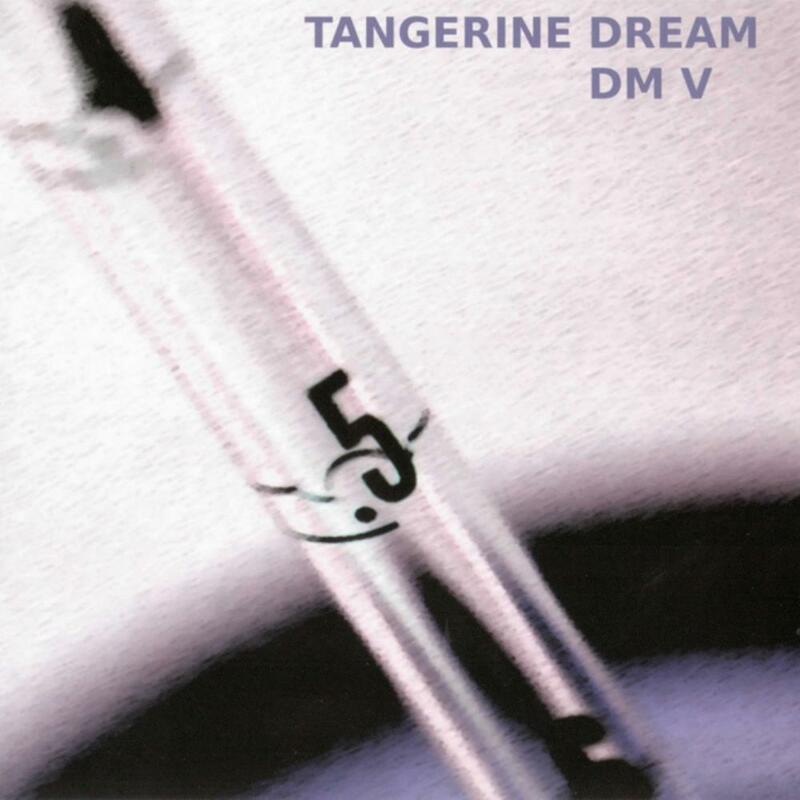 TANGERINE DREAM's 1970-1984 material now deserves more modern reinterpretations.